Paper. Length-25 cm, Width-13 cm, Height-5 cm. 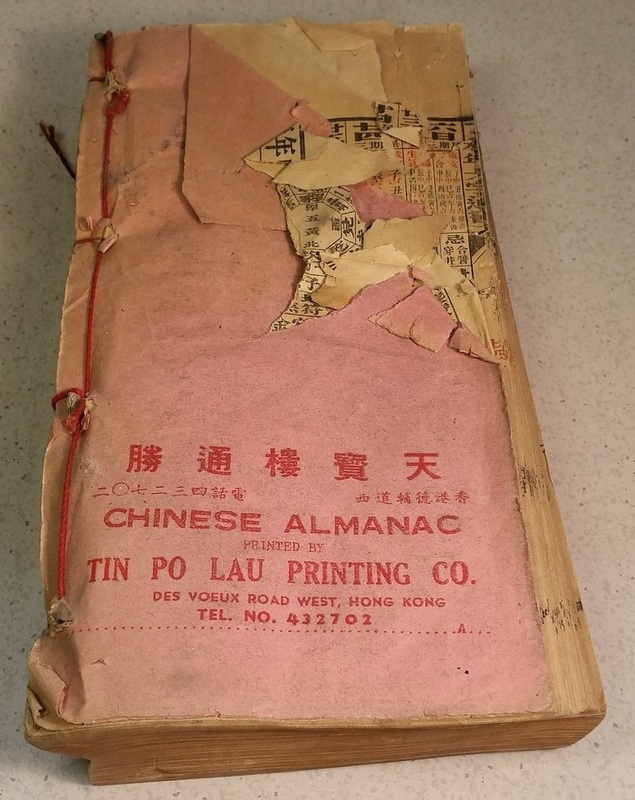 A very old Chinese almanac. It has no spine, but the pages are bound together by a red string in four places along the spine edge. Since the Chinese read from right to left, all of the following cover descriptions will be referred to in this way. The front cover is brightly decorated, predominant colour being red. It shows a large picture of a man sitting down with five small boys pulling an open sack before him; the sack appears to contain fruit. The back cover is pink with red lettering.